Have peace of mind knowing that we only supply 100% Australian made & owned products. We only use the best products for your home. 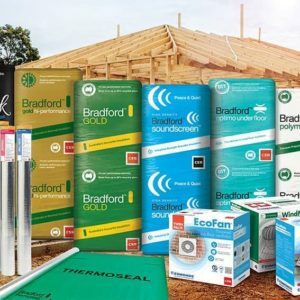 The CSR Bradford Range of insulation comes with a 70 year warranty, both fibreglass and polyester alternatives and can boast being the only Australian made product that comes with the Asthma Foundation certification. Contact us today for a quick chat to discuss your needs.